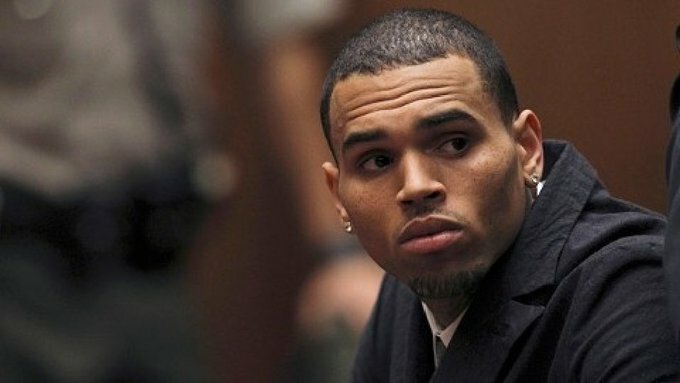 Chris Brown Arrested! The Alleged Victim Speaks on TMZ Live and All The REAL FACTS! (Video and Details) - T.V.S.T. I feel guilty about this. I think I might have jinxed Chris. 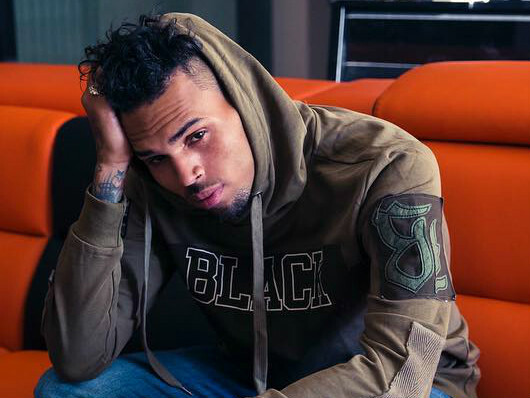 Just last week I wrote a post mentioning how we haven’t heard anything bad from Breezy after he got rid of the leak in his camp. I even suggested that he should perform at the Super Bowl…..8 days later he’s involved in a stand-off with the police! A video-hoe goes to Chris’ $4 million dollar mansion. Pause. Let’s take a look at this place. It’s sick! Said video-hoe is starstruck by Ray J, Chris Brown and all his friends. During the gathering, her friend goes for a swim and she just sticks her toes in the water but doesn’t swim herself. When she comes back from soaking her feet in the pool, she walks in on a jewelry guy selling various pieces of high end jewelry. She makes a comment that triggers the jewelry guy to get upset and Chris to put a gun to her head and ask her to leave. He then kicks her out. She leaves right away and asks for her cellphone and shoes. Chris personally brings them to her. Before handing them over, he asks her to sign and NDA (non-disclosure agreement). She refuses, grabs her stuff and runs to the cops. This story then gets taken to new heights when LAPD and TMZ get involved. Now let’s address some things we have been hearing on the news. What is true and what is false. This is sensationalism at its finest. 9-1-1 was called at approximately 3 AM. Baylee Curran made the claim that Chris pointed a weapon at her and the police showed up. Chris did not let police in to search his place (which is his right) without a warrant. It took LAPD about 11 hours to get a search warrant approved, which they accomplished around 1 PM. While they checked his place Chris came outside, went back in and was formally arrested round 5:00 PM. There was no stand off and there were no hostages and the situation was largely non violent. Chris was taken into custody without issue. He did make 3 Instagram posts, however given the circumstances, they were not crazy or deranged. In fact, they are typical Chris Brown. Ray J was indeed there. The Newlywed (see photos of his wedding and sister Brandy singing), was really getting a tattoo done when the incident occurred. He too sent a video in support of Chris. Poor Ray J’s car ended up getting towed later that day so he had to call an Uber to take him home. I’m sure that didn’t go well with his new wife, Princess Love. This is probably true, although LAPD has not confirmed this. It’s not clear where the bag went if it did exist. If it got thrown out of the window, it has to land somewhere. TMZ and the Dailymail both reported the existence of the bag and TMZ was specific enough to say there were two guns and drugs inside. Once the search warrant was obtained Chris and his friends were fully compliant. They could be seen getting frisked with the hands on their heads and as I mentioned before Chris himself was taken into custody without issue. LAPD would not confirm or deny if they found anything during the search inside the home. I say probably because if i was Chris, my home had been robbed and I run with these fake thugs, I would have guns in the house too! This actually is not true. His probation ended earlier this year; 6 years after the Rihanna incident. However, because he did plead guilty to a felony assault, he is not allowed to possess a firearm in California. So if he does have a firearm he will be charged with unlawful possession. We know for certain that he was at least charged with felony assault with a deadly weapon for this incident. I watch enough “America’s Next Top Model” to know that there are no real Go-See’s at 3:00 AM. She wanted to hang out in a mansion with some famous black guys who like cute women and the night went left on her. Claiming she was on a ‘Go See’ makes it sound a lot better to her parents but we all know the real deal. She was there to GO SEE some “D”. Yep. She was on TMZ Live just hours after the incident. Watch!! Cast For Season 23 Of 'Dancing With the Stars' Is Revealed, And It Might Be The Strangest Group Of Celebs Ever!